First of all I will point one thing: I’m not a professional book reviewer. I don’t do this too often. Probably because I don’t have enough time. However, I’ve decided to do a review of “Learning Mongoid” because I wanted to learn something new and Packt Publishing was kind enough to lend me a copy for this review. So here it is. I’ll start with things that I really liked. As usual, there were some things that could be corrected, but if you have Rails experience, this book will be really helpful for you. You may consider this an issue, but I’ve found this really helpful. Chapters aren’t long, so getting through them is not painful. I bet you’ve sometimes wondered “what is the author getting at?”. Not with this one. Chapters (and the book itself) are really consistent. You won’t get bored reading this one or feel like giving up. I don’t like theoretical texts and books, without any examples of good practices. We’re developers, we should be able to play around with new stuff that we learn! And one of the things that I really liked about Learning Mongoid is that I was able to copy-paste almost every example and play-around with it on my computer. Even now I can recall times, where I had to rename fields, so I would be able to create an index for them :). I don’t know why, but this is not a thing that is covered in tutorials or other books (at least not in those that I know). On the other hand this is super useful. I was really surprised to see this one here. It made me realize one thing – this book was written by other guys who develop Rails-Mongoid software. When doing a lot of Geolocalization stuff – Mongo can be really helpful and can simplify a lot of things. All basic geo-search options are covered in this book. In general, the whole querying chapter is well-written and together with aggregation framework, it covers all common cases that you may want to use. Learning Mongoid by Packt Publishing is a solid book about Mongoid, although it lacks some information that would be super useful for beginners. 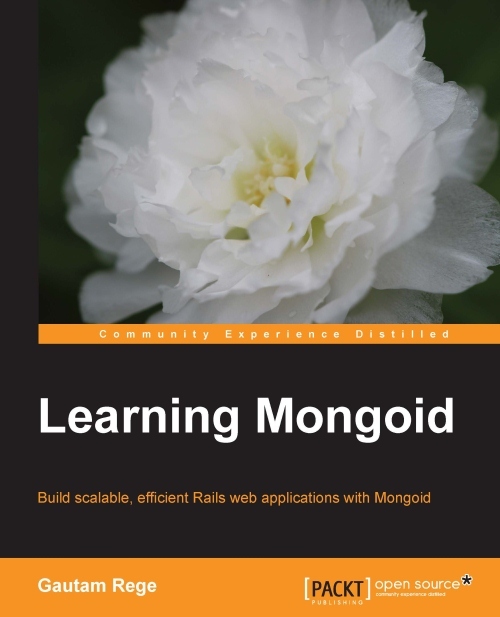 I’ve got a feeling that it covers most of “stuff you need to know to start working with Mongo and Mongoid”, but as mentioned above, when it comes to people who want to start using Mongoid and they know only a bit about Ruby – it can be harsh. I know that this book should be (and it is!) about Mongoid, but since we’re talking about it, it is worth at least mentioning how to install RVM, especially because it is one of the prerequisites. 1-2 pages about RVM would be really helpful. Although none of the changes are listed. No information about replica_set, allow_dynamic_fields, preload_models or any other important setup options. This is a must be in any good Mongoid book. I’ve mentioned that below, but I will point it out again. Authors say, that there are several differences between new and old Mongoid, although they don’t list them (except IdentityMap). I think they should. Want to migrate your app to Mongoid? Would I recommend this book? Yes – I already have! It can be a solid Mongo and Mongoid starting point for begginers (apart some issues that I’ve mentioned) and a “knowledge refresher” for people that use Mongoid longer that few weeks. It is well written and it has a lot of examples. Really a good one about Mongoid. If you’re interested in buying this book, you can get it here.